How do you know if your musical or not. 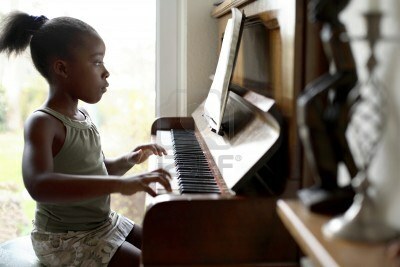 When I was a little girl studying piano I thought everyone’s brains thought like mine. I thought people could here music in their brains. This is simply not the case. I think that’s why I learned my pieces easily, because my teacher would play the piece, and because I had good note recognition. I copied her! I never learned how to count, had no idea how to move at all! Did this hurt my musical ability? Absolutely!! 10 years of terrible instruction. Nice and awesome teachers..just terrible direction because what my heart wanted to play was not possible. One of the best qualities in studying the piano, or any musical instrument, is to hear the melody in your head. You can carry this every where! You’ll often see great pianist mouths are moving. There is a reason for that. https://simplypianostudio.com/wp-content/uploads/2015/05/4K2VPPOSR1-1.jpg 1155 1732 andrea https://simplypianostudio.com/wp-content/uploads/2016/08/SimplyPianoLogo_Large-300x90.jpg andrea2018-02-03 23:41:532018-02-03 23:41:53How do you know if your musical or not. Do you have Piano Goals? It seems that at this time of year everyone seems to have something that they’d like to change. It doesn’t matter what your goal is. What matters is you enjoy the journey along the way. I have some students who are very goal oriented and they stick with it! Others are wondering around and have so many pieces they’d like to study that their energy is dispersed. I have to bring them back on track to help feel that their energy is moving in the right direction. Nothing is worse than feeling that your not accomplishing something. I can’t stress enough of how Slow Practice is the BEST Practice! We want to learn something FAST….SLOW is the only way to go!! Plus when you move on to study another piece or technique, your brain and body will remember all that you have done! What an amazing feeling! Happy Practicing and enjoy THE JOURNEY!! https://simplypianostudio.com/wp-content/uploads/2015/05/4K2VPPOSR1.jpg 1155 1732 andrea https://simplypianostudio.com/wp-content/uploads/2016/08/SimplyPianoLogo_Large-300x90.jpg andrea2018-01-09 18:36:422018-01-09 22:49:47Do you have Piano Goals?